More teens are turning away from the faith than ever before: it is estimated that 75 to 88 percent of Christian teens walk away from Christianity by the end of their freshman year of college. Something must be done. Family Driven Faith equips Christian parents with the tools they need to raise children biblically in a post-Christian, antifamily society. Voddie Baucham, who with his wife has overcome a multigenerational legacy of broken and dysfunctional homes, shows that God has not left us alone in raising godly children. 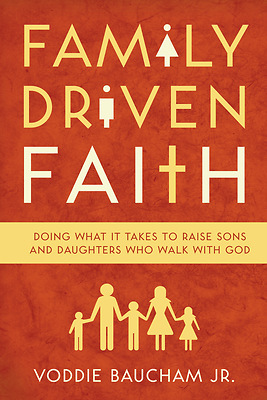 This bold book is an urgent call to parents--and the church--to return to biblical discipleship in and through the home. This paperback edition includes a new preface and a study guide to facilitate interaction in small-group settings and to help parents put principles into practice.